Watts v. Medicis Pharmaceutical Corp.
A former Chandler woman who developed hepatitis and lupus after taking a common acne drug will be allowed to pursue a consumer-fraud claim against the drug company, the Arizona Supreme Court has ruled. Amanda Watts alleged that Medicis Pharmaceutical Corp. did not provide adequate information about the prescription drug, Solodyn, including warnings about potential harmful side effects of the top-selling drug. The woman's lawsuit had been dismissed by a Maricopa County Superior Court judge, a decision that was later reversed by the Arizona Court of Appeals. Arizona Supreme Court justices on Thursday ruled that Watts' consumer-fraud claim should be allowed to proceed in Maricopa County Superior Court. But the state's high court also rejected Watts' argument that a legal doctrine used in product-safety cases provided blanket immunity for drug manufacturers. 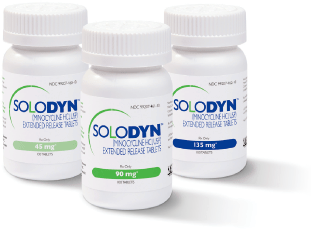 In April 2008, Watts was prescribed a 20-week course of Solodyn, which is a time-release form of minocycline. Two years later, she was prescribed a second, 20-week course of the drug. Watts alleged that her doctor's office gave her a Medicis drug-discount card that said the "safety of using (Solodyn) longer than 12 weeks has not been studied and is not known." She also received a paper insert from her pharmacist warning patients that they should consult a doctor if symptoms do not improve within 12 weeks. After Watts completed her second 20-week course of Solodyn, she was hospitalized and diagnosed with drug-induced lupus and hepatitis. She was treated and recovered from hepatitis, but doctors expect she'll have lupus for the rest of her life, court documents state. Watts alleged in her consumer-fraud claim that Medicis' drug-discount card knowingly misrepresented and omitted material facts. Watts claimed she never received Medicis' full prescribing information, which warns that long-term use of minocycline has been associated with "drug-induced lupus-like syndrome, autoimmune hepatitis and vasculitis." The state's high court will allow Watts to pursue her claim that Medicis did not provide adequate warning about potential dangers of using Solodyn. But the court also said that if Medicis can prove it gave adequate warning to Watts' prescribing doctor or other health provider, the company will have fulfilled its requirement and will be entitled to summary judgment. Two questions not answered by the Supreme Court may be argued in Superior Court: whether the prescription-drug card was considered a form of advertising under the state's consumer-fraud act, and whether federal law pre-empts a consumer-fraud claim. Mick Levin, a Phoenix attorney who represents Watts, said he will have to investigate what information Watts' medical provider had about the potential long-term harms associated with the drug. 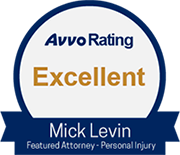 Levin said his client was 16 when she began taking the drug. She has since graduated from the University of Arizona and lives out of state. Phoenix attorney Lori Voepel represented Medicis, a Scottsdale-based drug company that was acquired by Valeant Pharmaceutical in 2012 for $2.6 billion.